All rights reserved. No part of this story (eBook) may be reproduced or transmitted in any form or by any means, electronic or mechanical, including photocopying, recording, or by any information storage and retrieval system, without written permission of the author, except in the case of brief quotations embodied in critical articles or book reviews. This is a work of fiction. Names, characters, places and incidences are either a product of the author’s imagination or are used fictitiously. Any resemblance to any actual person, living or dead, events, or locals is entirely coincidental. A new kind of justice is coming. Texas Ranger Justin Graves and his juvenile-delinquent daughter, Christy, are dead, both murdered by her drug-dealer boyfriend, Billy Denton. Justin blames himself for her life of drugs and prostitution, so he makes a deal with the devil to save her soul: one hundred bad guys in exchange for her pardon from hell. Now, in his rotting corpse, he returns from the grave to deliver the souls of killers who got away with murder. Surrounded by the warm glow of the afterlife, Mrs. Templeton sat in her favorite rocker and stroked Ginger, the longhaired white cat curled in her lap. Though the light supplied everything she needed in this serene domain, her soul felt like a lump of burnt coal. She missed her husband, Wally, who’d died fifteen years ago. He’d left her a fortune, so much money she couldn’t have spent it all in ten lifetimes, even if she’d tried. As it turned out, that money had become the root of her despair. Ginger purred. Mrs. Templeton understood the rules. As long as she harbored hatred in her heart and the burning desire for revenge, she would not be allowed to cross over to everlasting peace and happiness. She could not be reunited with Wally until she let go of her hate. Let go of everything earthly. Let go of the good that her favorite charity could have done with the money. The light began to shimmer. A visitor was approaching. Her ethereal heartbeat stuttered. She was about to meet with her last chance for redemption. One man possessed the power to set her soul to rest. Justin Graves. In a dazzling display of radiance, a man materialized from the white light. Justin’s good looks took on a hard edge. “I don’t want him breathing one more day than necessary.” “His time of reckoning will come.” “I’m afraid he’s going to escape that rinky-dink jail...” “Take the advice of a wise old lady.” She stroked Ginger’s fine white hair. “Let sleeping dogs lie, get a good cat, and cross over to your wife. She’s waiting.” “You should take your own advice.” “I know what you’re going through, Justin. I can’t cross over either. If it wasn’t for Ginger...” Tears shined in her eyes. “I wouldn’t know what to do with myself. That horrible, horrible man, what he did to me. I can’t shake my contempt for him.” Justin nodded. “We all have our Billy Dentons.” “Mine is Dwaine DuBois. I trusted him with my financial affairs. He stole my inheritance and left me for dead in a state-run nursing home, buried me in a pine box, in a pauper’s grave. I don’t even have a headstone, Justin.” “I’m sorry,” he said and sipped tea. “What’s worse than that...” A tissue materialized from the light. Mrs. Templeton dabbed her eyes. “He doesn’t like cats.” “Cats mean a lot to you?” “The money he stole was supposed to go to Kitty Rescue. Sarah Wells, she’s my hero. Now her organization is suffering because of that conman.” She waved her hand at the light. “See for yourself.” The glow parted and revealed a scene in the land of the living. happen to have her there?” Sarah’s mind shuffled through her inventory of unfortunate felines. Nothing fit Missy’s description, and she’d certainly have remembered a diamond collar. “When did she turn up missing?” “Last night.” “She’ll probably return on her own.” “My wife is worried. We were just hoping...” “Perhaps you should check the pound.” “If those bastards euthanized her... Oh, God! If I’m too late, my wife will never forgive me.” “You’d better call them right away,” Sarah said. “Thanks.” “Could you send us...” The line clicked dead. “...a donation?” The door buzzer sounded. Someone had entered the front room. Sarah set down the phone and hurried out to the counter, expecting Linda, but her heart fell into her stomach when she saw Lou Ralston, her landlord. He looked mad enough to spit kitty litter. “Where’s my rent money, Sarah? I can’t wait any longer.” “I’m trying...” “You’re not trying hard enough.” “Public service is threatening to turn off my power. I have to pay them first. “You have to pay me first or I’ll throw you and all them damn cats out in the street! You got that?” Tears started to flow again. “Please, Mr. Ralston...” The buzzer went off. Sarah shifted her attention to the front door. Linda was dragging something in. A bag of dog food? About the Author, Terry Wright There’s nothing mundane in the writing world of Terry Wright. He thrives on adrenaline. Tension, conflict and suspense propel his readers through the pages as if they were on fire. Published in Science Fiction and Supernatural, his mastery of the action thriller has won him International acclaim as an accomplished screenplay writer. A longtime member of the Rocky Mountain Fiction Writers, he runs their annual Colorado Gold Writing Contest. Terry lives near Denver with his wife, Bobette, and a Yorkie named Ginger, who is really the boss of the family. Learn more about Terryʹs books, short stories, and screenplays at terrywrightbooks.com. 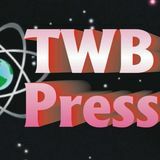 Enjoy reading Terry’s other short stories and novels: The 13th Power (Gardenia Press, 2001) Trade paperback novel from TWB Press, Amazon Science Fiction Thriller Scientists are building bigger and faster particle accelerators to smash atom into smaller pieces. They are looking for the Higgs boson, The God Particle. What if they find it? The Gates of Hell ( New Line Press, 2010) Justin Graves Series, Book 1 eBook and Kindle short story Supernatural Thriller When Justin Graves and his daughter are murdered, he makes a deal with the devil to save her soul: one hundred bad guys for her pardon from hell. Night Stalker (New Line Press, 2010) Justin Graves Series, Book 2 eBook and Kindle short story Supernatural Thriller Justin Graves goes after a night stalker who killed a young bride on her wedding night and got away with the murder. Black Widow (New Line Press,2010) Justin Graves Series, Book 3 eBook and Kindle short story Justin Graves seeks out a beautiful woman who kills her lovers. She’s every man’s dream date, but don’t disappoint her...or else! Z‐motors, The Job from Hell (New Line Press, 2010) eBook and Kindle short story Horror In this satire on zombies in the workplace, the dark side of the auto repair business is exposed, and a mechanic’s quest to overcome unemployment leads his family down a disastrous path. The Duplication Factor (Essential10 Publishers, 2010) eBook novel and Kindle Science Fiction Thriller Speculation has it, in scientific circles and the press, that in some secret lab somewhere, a human has already been cloned. The truth is there were two clones, a corporate tycoon and a mass murderer. The consequences were horrific. 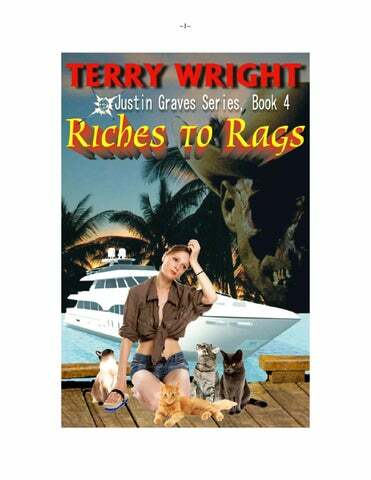 Justin Graves Horror Series, Book 4, by Terry Wright, published by TWB Press.